What does it mean to feel something? What stimulates our desires, aspirations and dreams? Did our ancestors feel in the same way to us? Historians have tried to make sense of our feelings, passions, moods, emotions and sentiments over the last decade in a wave of new research. 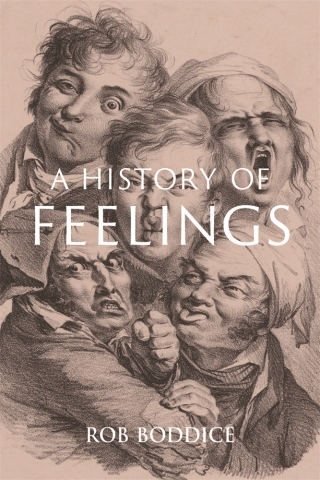 For the first time, however, Rob Boddice brings together the latest findings to trace the complex history of feelings from antiquity to the present. A History of Feelings is a compelling account of the unsaid – the gestural, affective and experiential. Rob Boddice argues that how we feel is the dynamic product of the existence of our minds and bodies in moments of time and space. Using a progressive approach that integrates biological, anthropological and social and cultural factors, he describes the evolution of emotional encounters and individual experiences across the globe. Written by one of the world’s leading scholars of the history of emotions, this epic exploration of our affective life is essential reading for all those fascinated by our own well-being. Rob Boddice is a Marie Skłodowska Curie Global Fellow based at Freie Universität Berlin and McGill University, Montreal. He is a Fellow of the Royal Historical Society and the author of The History of Emotions (2018), Pain: A Very Short Introduction (2017) and The Science of Sympathy: Morality, Evolution and Victorian Civilization (2016).